YES! As expected, Windows 8 do look A LOT LIKE Windows Phone 7! Here’s a sneak peak video provided by Microsoft. The most prominent thing you will see when you start Windows 8 is the live tile aka mosaic tile screen much like the one on WP7 but these are rectangular instead of square. These tiles are a representation of apps on Windows 8. According to them, tiles are better than app icons. – One is the normal Windows application which runs in a desktop similar to Windows 7. 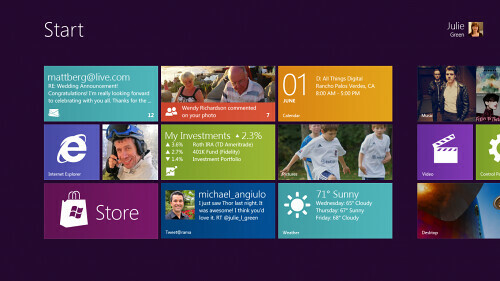 Touch capabilities are being heavily integrated into Windows 8. You can swipe from the side of your display to move between applications. A feature called Snap lets you pull apps from the side of your screen and display them as a compact sidebar. Looking really attractive. I might just get a Windows 8 tablet in the future. One Response to "Sneak Peak At Windows 8 For Tablets, Laptops & Desktops [video]"
tools. Click link for details. Mango deliver the top features.